Nowadays it seems there’s an app for every service out there. Make reservations on OpenTable or Reserve. Find a ride with Uber of Lyft. And now, book beauty and health appointments with Whittl – “where to-dos get done”. Armed with a $50 credit, I decided to book an appointment for partial highlights. I was in dire need! It was very easy to create an account, apply my credit, and then search for salons in my area. 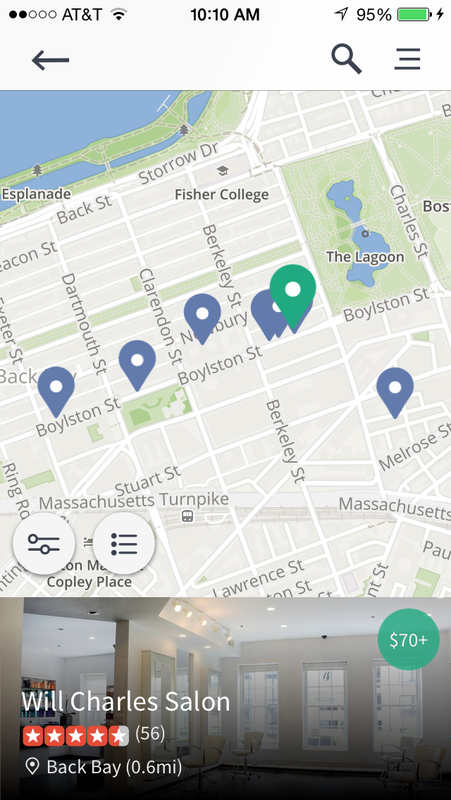 I decided to focus on Boston’s Back Bay neighborhood since it’s easily accessible from my apartment by T. I liked that each listing came with reviews and a 1-5 star rating. Everything I read about Will Charles Salon on Newbury Street sounded great, and the highlights were in my price range, so I booked there with Julia. 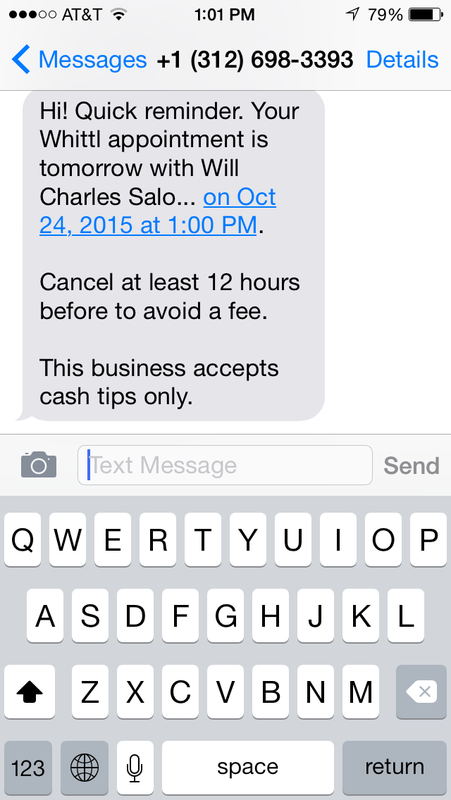 I thought it was super helpful that the text referenced that the salon accepted cash tips only! I knew to stop at the ATM and show up armed with cash. Will Charles Salon itself was very nice – and busy! But that’s to be expected on a Saturday afternoon. Julia was very knowledgeable and knew exactly what I wanted in terms of coloring. She could easily tell what I’d had done to my hair in the past (including the fact that it had been 6 months since my highlights were last done – oops). I was very happy with how they turned out! And it was easy to tip my stylist, confirm with the front desk that my charge would go through the Whittl app, and be on my way. 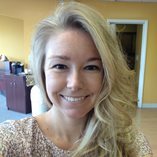 I had an event to work that night for 90+ Cellars so I was excited to show up with fresh blonde locks. It’s been nice to have my signature color back these last couple of weeks! Blonde and black for Halloween! I would definitely recommend Whittl for booking beauty appointments! Most of the time I’m over phone calls, so an app for booking appointments is right up my alley. 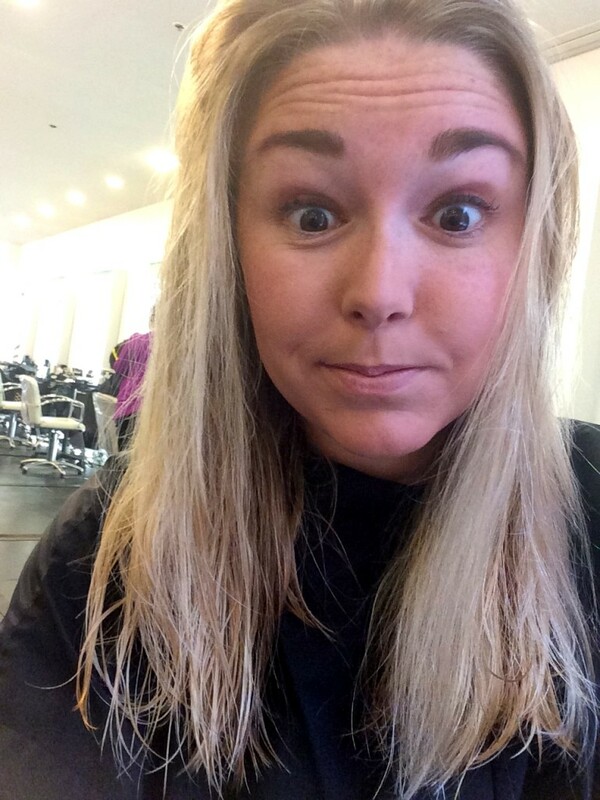 Be sure to check out my friend Emily’s review of her experience booking a mani/pedi. I received a $50 credit to Whittl in exchange for an honest review of my experience. 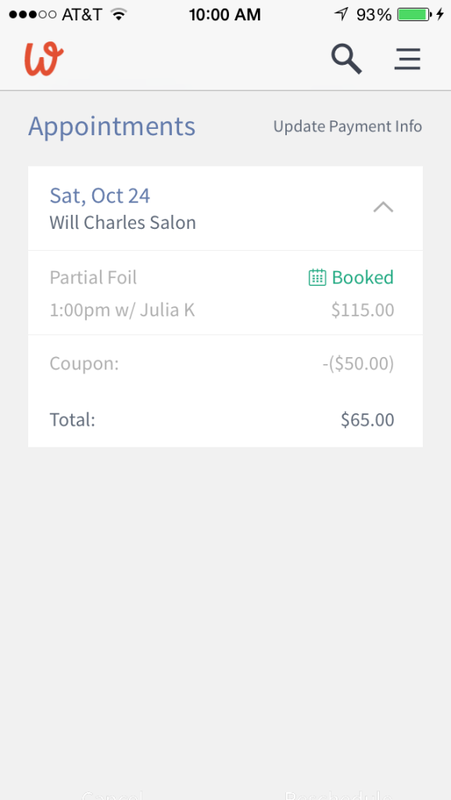 Have you ever used an app to book a beauty appointment?